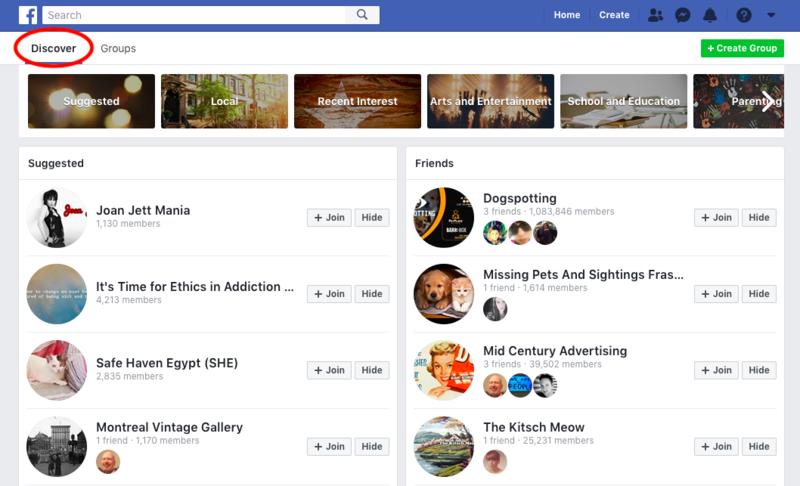 If you’ve had a presence on Facebook for a while, you’ll remember the good old days when it was possible to show up in many of your followers’ newsfeeds with organic posts. Unfortunately, over the past few years, this has become ever more difficult as Facebook continues to favor promoted content. The main reason for this change is competition. Ever more social media marketing services are pushing for their ads to appear on the platform. The second reason is the update to Facebook’s algorithm that went into effect at the beginning of the year. The aim of this update was to show users more content from their contacts and fewer from brands. This is presenting greater challenges for social media marketers. To combat the problem, PPC likely needs to be part of your strategy. However, there is no need to rely on promoted posts entirely. Here are 6 tactics you can apply to show up on newsfeeds without PPC. A common strategy in the past was to post multiple times a day and hope that followers would see at least one post. The problem with this approach is that it’s unsustainable. More and more businesses joined Facebook, and most adopted the same strategy, which meant that the amount of content kept growing. Now, savvy marketers have changed their approach. They are posting less frequently, focusing on quality, and better targeting content. Targeted content doesn’t just mean creating a post with a specific audience in mind; it is possible to add targeting to organic posts just like you do with ads. To adding targeting to organic posts, you first need to enable targeting on your page. Find the option in your page settings under the “General” tab. Check the box next to “News Feed Audience and Visibility for Posts” and save your changes. Once this is enabled, you can either choose a preferred audience for a post or set audience restrictions. Facebook Insights will show you how your targeted post is performing, which allows you to check if it is having a positive impact. 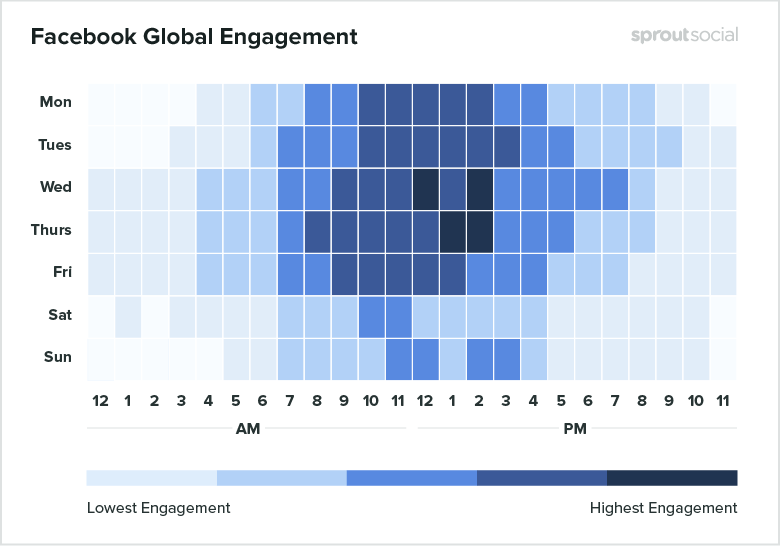 There is no single best time to post on Facebook — you need to experiment to find the best time for your brand. This could be when your audience is most active on the platform. Alternatively, it could be when your competitors are inactive. Experiment with posting at different times and on different days of the week. You may need to test for each buyer persona separately, particularly if they are very distinct — such as when you have a global audience. When you have enough data to give you an accurate picture for engagement, you can create a publishing schedule accordingly. Best days are Wednesday at noon and 2 pm and Thursday at 1 and 2 pm. Worst day is Saturday, which has the least amount of engagement. Best day is Friday 9-10 am. Worst day is Sunday mornings, which has the least amount of engagement. Best days are Wednesday at 3 pm, Thursday at 5 am, 11 am and 3-4 pm and Friday at 5 am. Worst day is Sunday which has the least amount of engagement. Best day is Wednesday 3-5 pm. Worst days are Friday through Monday, which has the least amount of engagement. You need to give users a reason to follow you on Facebook. Just leaving links to new blog posts is useless — readers can check out your blog on a regular basis for the same information. Posting special offers is a good start, but it’s even better if you use your page to create a community. For instance, you could hold Q&A sessions at the same time every week. If you have limited time, simply responding to comments to start conversations can create benefits for your followers. 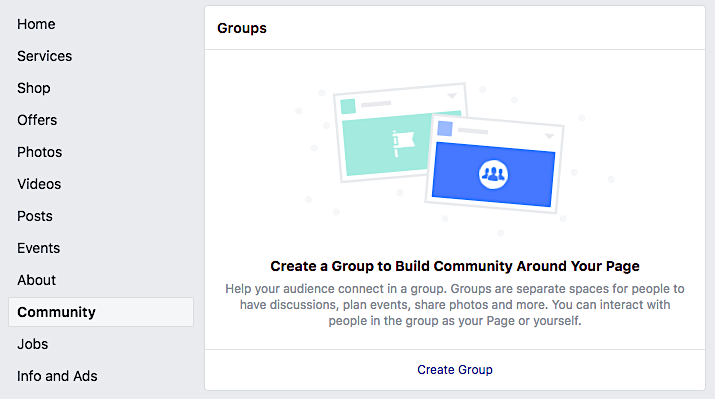 You can also create a Facebook Group, either opened or closed, as it creates more engagement through conversations. This is a good option if you have a large number of followers on your page. Your group can become an elite community for a select set of these followers. 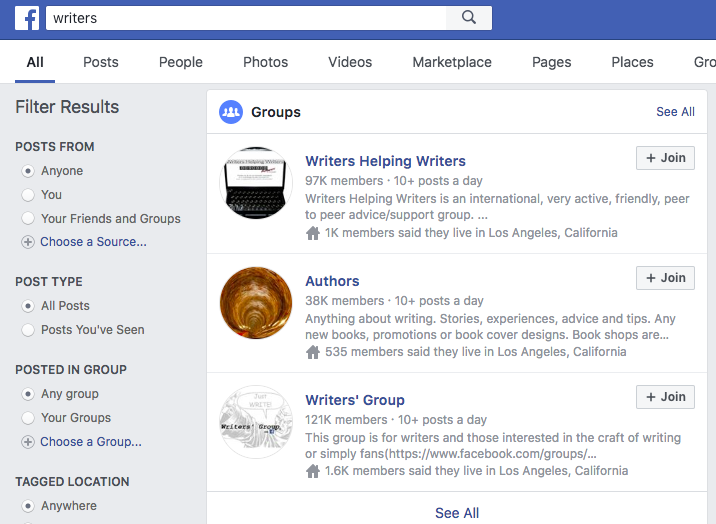 Make sure to give your group a separate purpose to your Facebook page as a whole — provide members with exclusive offers, make early announcements, hold discussions, and test new ideas and get feedback. With a Group page, you can create announcements, which are essentially just posts with CTAs that you can pin to the top of your group, or get immediate feedback from your followers through polls. There’s a reason why there’s so much video content on Facebook — it’s what users tend to like most. Videos grab people’s attention and encourage them to stop to see what the content is about. Even better than regular video is Facebook Live. Users can see real-time comments and reactions in response to what is happening in the video at any moment. This creates a shared experience. Furthermore, live videos provide you with an excellent opportunity to give your brand a human feel, especially if you share an event or a behind-the-scenes look at your business. Here are 5 ways to use live video to connect with your followers and grow your brand. Employee advocates. If your employees are passionate about the work your company is doing, they’ll be willing to become advocates. Add to the appeal by creating an advocacy program that rewards employees for every share, like and comment. Fans. Another way to take advantage of people who are already enthusiastic about your offerings is to use your fans. Create a similar advocacy program, this time rewarding fans for referrals. Micro-influencers. Although you’ll almost certainly need to pay influencers, it can still be an inexpensive option. There’s no need to seek a celebrity influencer; rather, find someone who supports brands in your local area or niche. Facebook began with the aim of bringing people closer together, but the sheer number of folks on the platform has made this a challenge. Joining groups is one way to combat the problem, as groups usually have just a few hundred or thousand people and only feature posts on a specific topic, issue or interest. This is especially true for invite-only groups, which are less likely to be an extension of newsfeeds and more likely to block spam posts. When choosing which groups to join, look for those where members have posted recently and post often. Naturally, the more related to your industry or niche the better. The most important key regarding groups: do not promote your company, products or services. Choose content to share that is relevant and that members will find useful. Improving your organic reach is critical for maintaining engagement on your Facebook page, as only through engagement will you generate leads and repeat sales. PPC is useful for gaining new followers, but to keep them engaged and avoid exceeding your budget, you need organic posts. Therefore, if you want Facebook to remain a central feature in your social media strategy, you need to ensure that your organic posts do show up on followers’ newsfeeds.